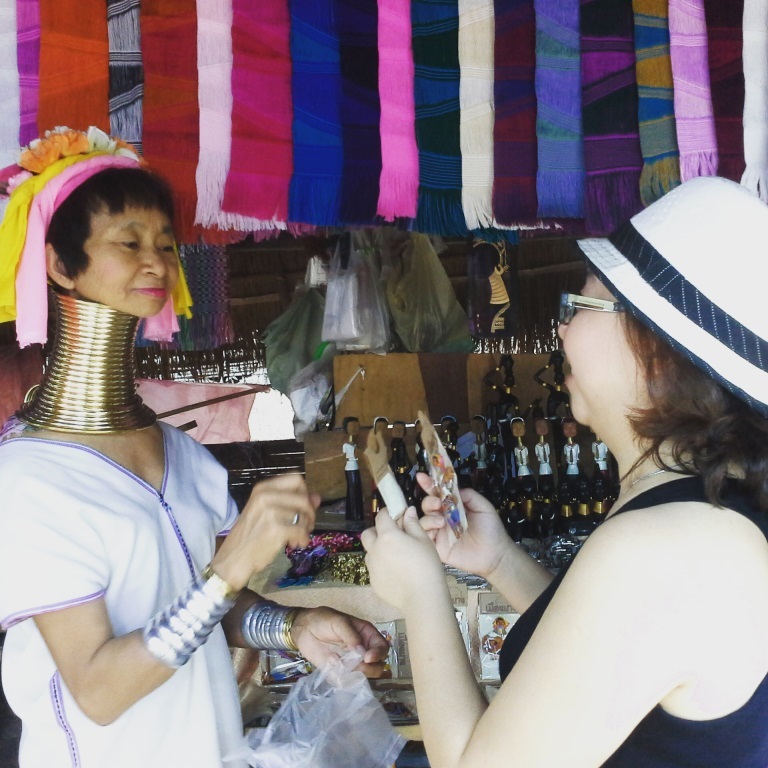 Our vacation trip to Chiang Mai, Thailand on August 2015 is full of fun and adventurous! Shall we move on? 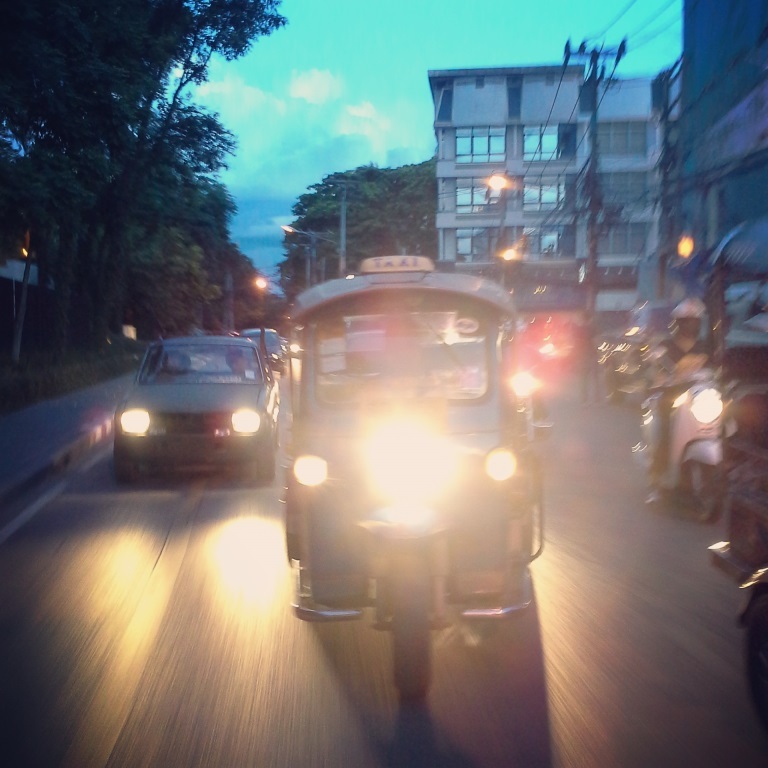 Almost everywhere that we can see a Tuk Tuk where they modified in combining motorcycle to a carriage. Basically, a trip will cost you 20 Bath fetching you around the town. 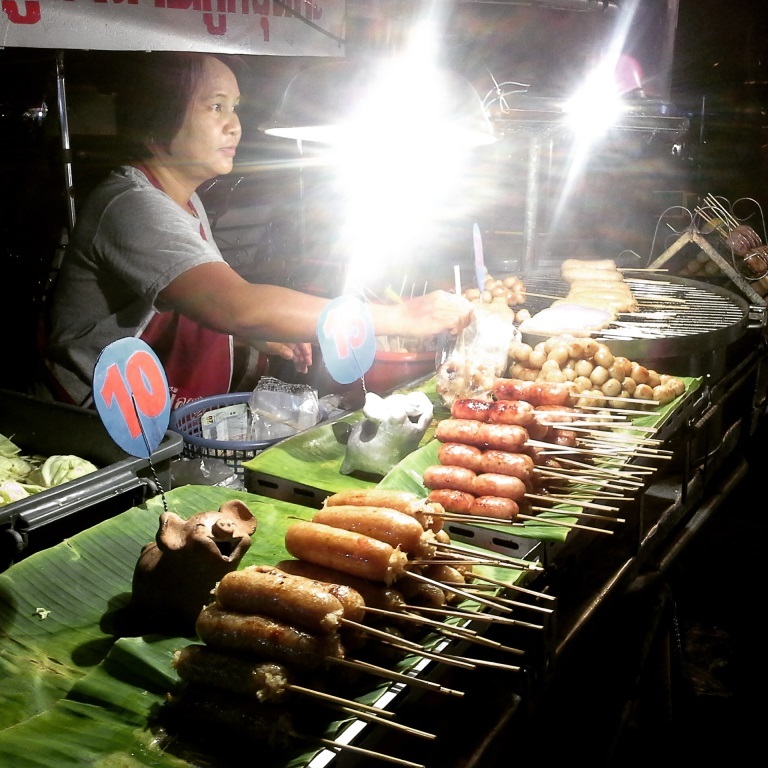 The famous street food where you can see all types of hotdogs at the street market. The Long Karen tribe at Chiang Mai, Thailand. It is obvious that their neck is longer than usual. An adult lady can wear up to 23 rings and the reason why they are putting golden coils is that to scare away a monster and look more beautiful. This Myanmar origin speaks good Mandarin and able to understand some basic cantonese. We asked her why you can speak good mandarin and she said, I need to sell my products to China visitors at my stall. She is totally having the UNIQUE way! 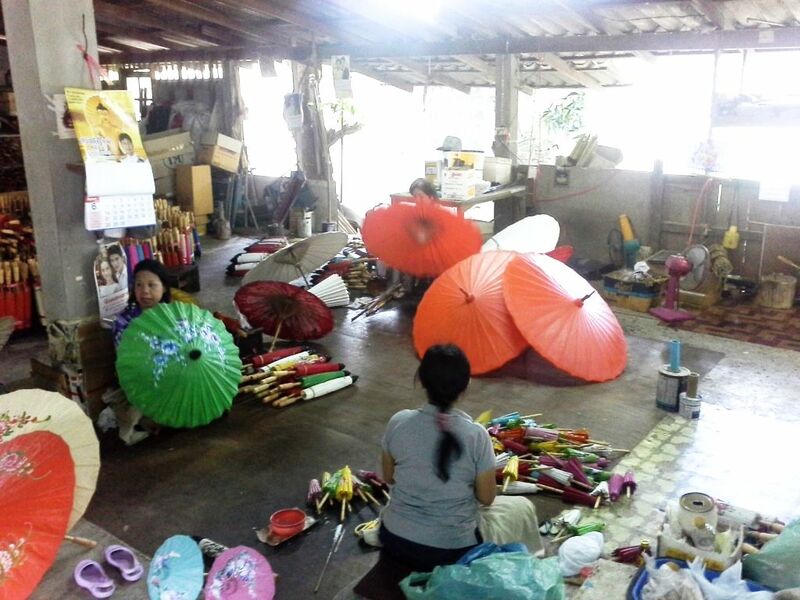 Tradisional Umbrella making factory. The umbrellas are pure handmade! 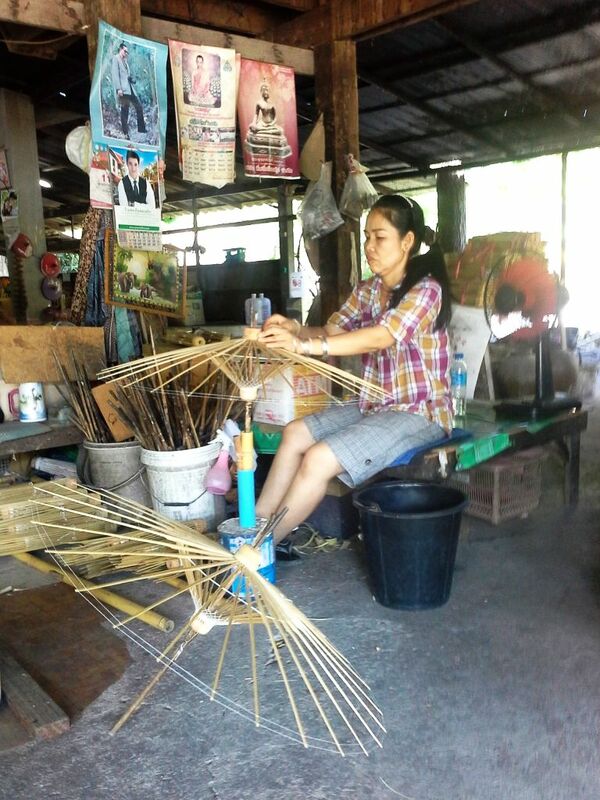 The lady is enjoying her time in making the umbrella art. As we said, support local ARTs! 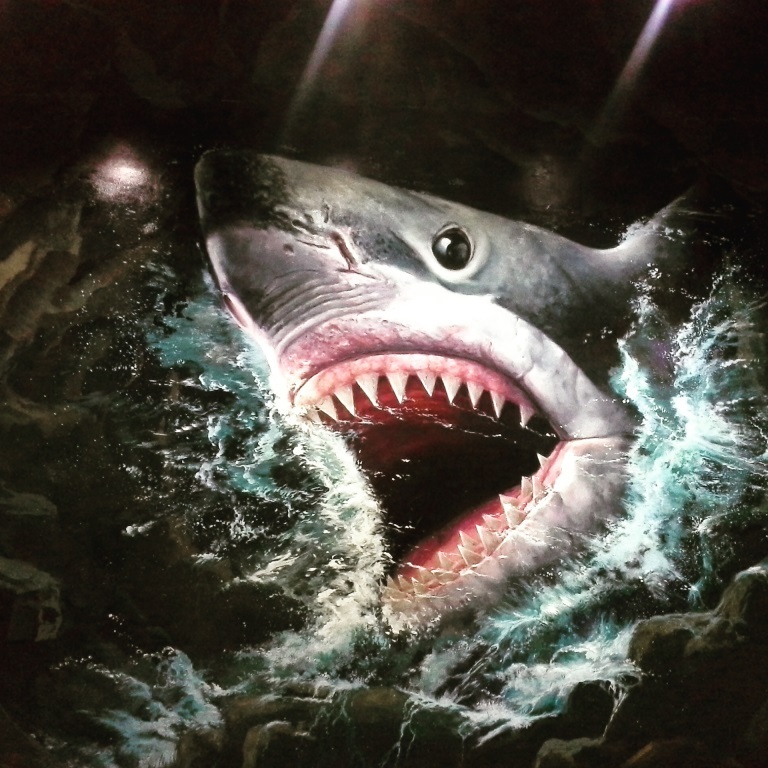 Visited the 3D arts Museum in Chiang Mai. Really gifted artist! 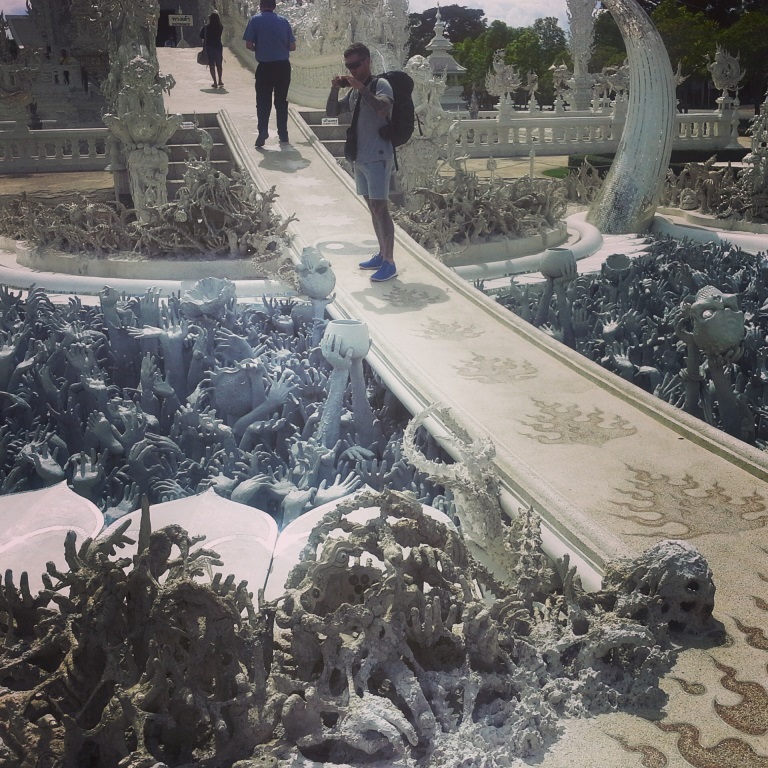 Travelling about more than 1 hour by van and reach The White Temple, Chiang Rai. 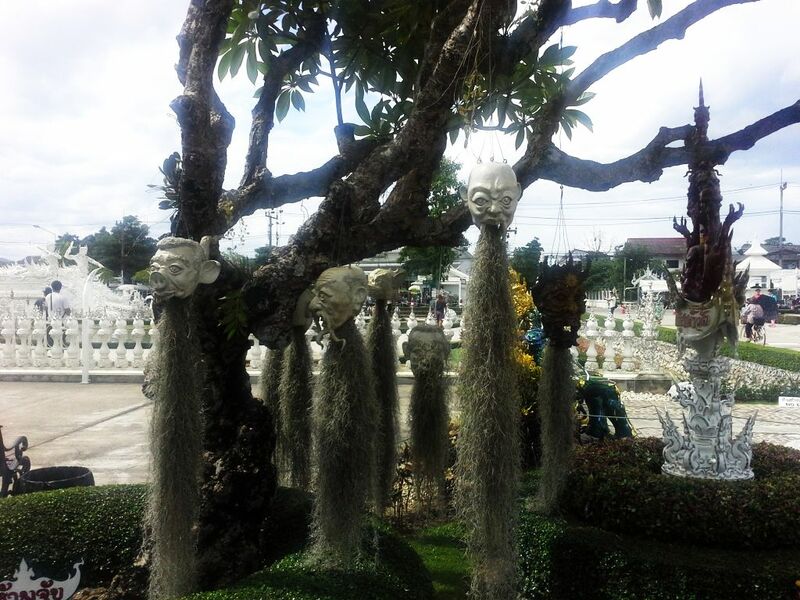 Eerie looking masks at the entrance in welcoming you the White Temple. Besides White Temple, we manage to drop by to visit the Black house which is created by Thailand's most well known artist. Some how, those statues are "devil-ish".. 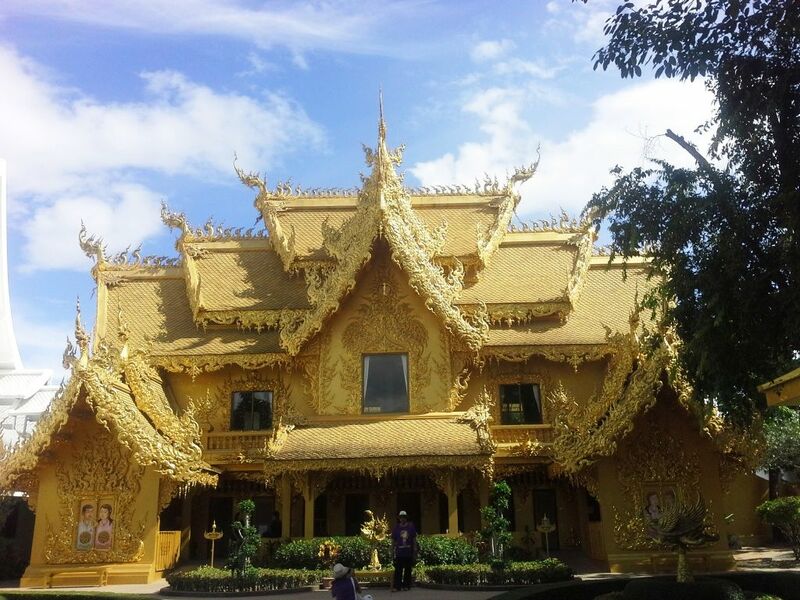 The Golden Temple in Chiang Rai. One might mistaken that, the building was made from GOLD! At the end of the day, although we are tired but, we still found that, the trip of discovery is amazing!